Our mission is to remove obstacles to a liberal arts education, by providing support and accommodations to otherwise qualified students with both visible and invisible disabilities while they embark on their pursuit of knowledge. We stand behind their journey towards a goal of using their talents, aspirations and intelligence to play a significant role in our democratic society. We are also committed to promoting a universal design in education, architecture and product design to improve the environment for all citizens and decrease the need to ask for special accommodations. What is the law and how does it apply to higher education? Section 504 of the Rehabilitation Act of 1973 and the American with Disabilities Act mandate that universities provide all, otherwise qualified, students, equal access to programs and activities by having nondiscriminatory standards in all academic areas and by providing reasonable accommodations on a case by case basis. What is the process for requesting accommodations? The University of Puget Sound has designated the Office of Accessibility and Accommodation as the department that determines if a student qualifies for an accommodation. Obtain documentation from a qualified, licensed professional that includes a diagnosis, how the diagnosis was established, the functional impairments, and a rationale for requested accommodations. Schedule an appointment to meet with Peggy Perno, Director, by calling 253.879.3399 or emailing saa@pugetsound.edu. Accommodations are determined on a case by case basis and depend on documentation, student’s needs, requested accommodations, and what is reasonable under the law. Academic accommodations need to be formally requested each semester. This is a simple process that is done through a student account that all SAA registered students have. This account generates letters that need to be signed by each instructor and returned to the SAA Office. Students are required to schedule a meeting with their instructor to discuss the particulars of each accommodation. The nature of the disability is confidential. Professors are informed of the accommodations not the diagnosis. Transcripts will not reflect involvement by the Office of Accessibility and Accommodation. What is the student’s role in the accommodation process? Meet academic and technical standards (attributes a student needs to qualify for a class or program). Request accommodations through the Office of Accessibility and Accommodation in a timely manner. Accommodations cannot be requested in retrospect. 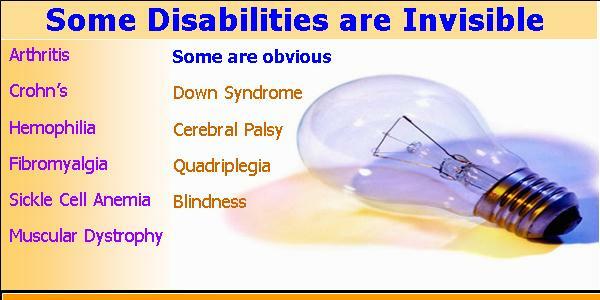 Provide documentation that establishes a disability. Fully participate in the accommodation process by following the Office of Accessibility and Accommodation procedures and communicating with professors. Notify us if there is any problem with accommodations. If you wish to discuss possible support services and/or accommodations, please schedule an appointment with Peggy Perno, Director, by calling 253.879.3399 or via saa@pugetsound.edu. Please bring any diagnostic information that is relevant. Declaration of a disability is not automatically a request for accommodations. Support services and accommodations are individually tailored depending upon a student's disability, its severity, and the student's academic environment--courses, housing situation, activities, etc. The following is a list of possibilities. Not every student qualifies for (or needs) every accommodation. Furthermore, other accommodations not listed here may be possible. All Puget Sound students have access to free tutoring, writing assistance, and consultations on learning and time management strategies in the Center for Writing, Learning and Teaching. Support services and accommodations are implemented as quickly as possible, but students must allow adequate time for the process to begin. Generally speaking, it takes at least two weeks for a student to have an intake appointment and begin to use implemented services. Some services such as note taking and taped textbooks take even longer to initiate. Therefore, students are encouraged to complete an intake interview before any services are needed. Later on if accommodations are needed and warranted, the process can be implemented much more quickly. Students who take exams in the Office of Accessibility and Accommodation must provide SAA with at least two days' notice and provide each instructor with notice as determined when the accommodation form was signed. For final exams, two week's notice is required. Walk-in Hours: 10 a.m. to 4 p.m.